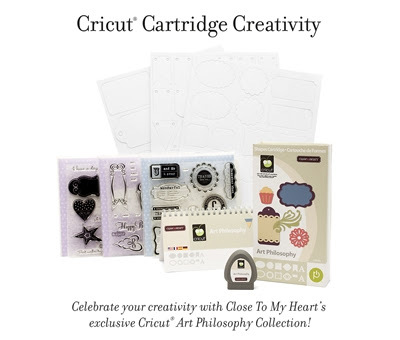 Now that Close To My Heart has the new Art Philosophy Cricut Cartridge, my entire papercrafting life has gotten so much easier! Not only did they come out with this exclusive cartridge, they bundled it with three coordinating D-sized stamp sets as well as three sheets of chipboard shapes for a fantastic price of only $99. Everything works together perfectly! 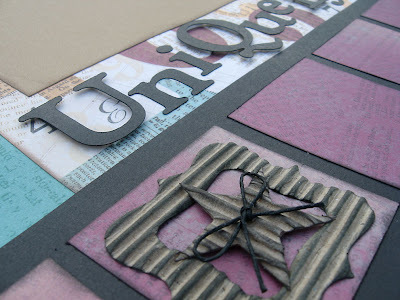 This layout comes from the Hocus Pocus pattern in the Magic book, using the new "Typeset" paper pack. (Be sure to click on it to get a better look.) The Art Philosophy cartridge made it super easy to make the title "Uniquely You" quickly. For the banner on the right page I used the chipboard shapes plus the coordinating cuts from the cartridge. 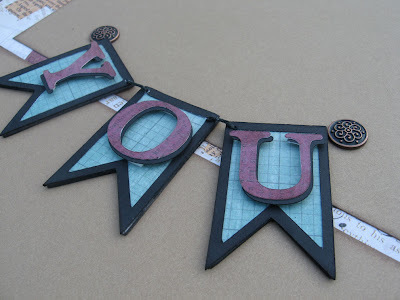 Wow, is this easier than placing paper over the shape, cutting around it, sanding it, etc. I love the new Milepost Shapes (corrugated kraft card stock) you see here. I inked over them with some black ink on a dauber to make the ridges more pronounced. And how fun it was to mix and match the capital and lowercase letters for my title. Just type it in and hit the CUT button! Here's a closer look at the banner on page 2. I cut an extra set of letters in black to create a drop shadow. And check out those beautiful big Antique Copper Designer Brads on each end. Love those! Here's a fun french fry box also included in the Art Philosophy cartridge. This was a make-n-take project at my recent Flamingo Gals quarterly team meeting. The ticket stamp and the ticket shape work together perfectly. How awesome is that! The fleur-de-lis is also on the cartridge. I didn't have to cut out a single thing! 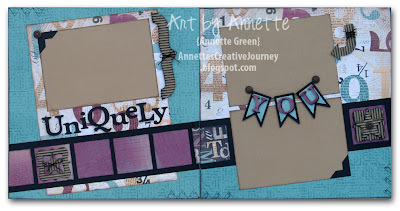 This is a fun tag I made from the Art Philosophy cartridge for team member Tamra Pope. 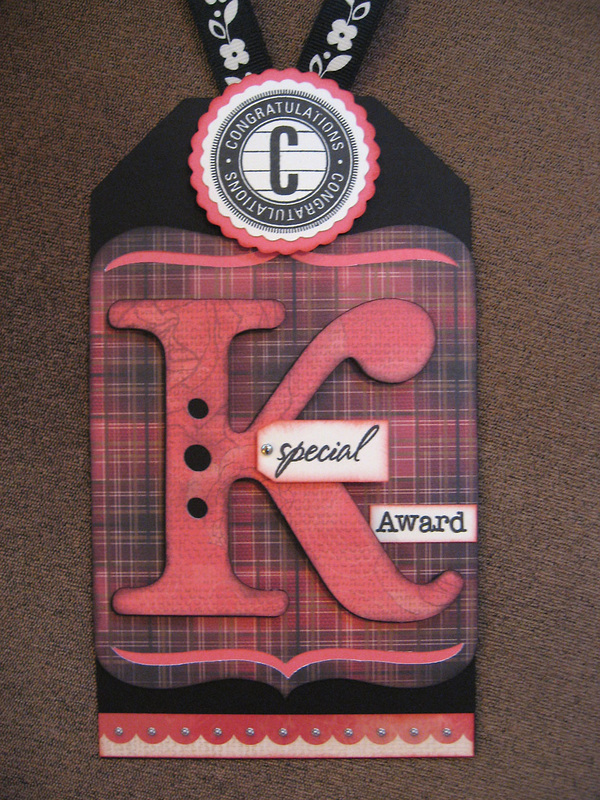 Each quarter, when team members' sales reach $1,000 they are awarded the "Special K" award. Everything to make this tag was on the cartridge. The tag itself, the bracket overlay, the big "K", and the scallop circle which fits perfectly with the Congratulations stamp in the bundle set. I used the new Roxie papers for this. Well, there's more fun to be had with my Art Philosophy cartridge, so gotta go! Enjoy your day and thanks for stopping by. I love all of your projects. They are gorgeous!